Who Gets to Call It Art? 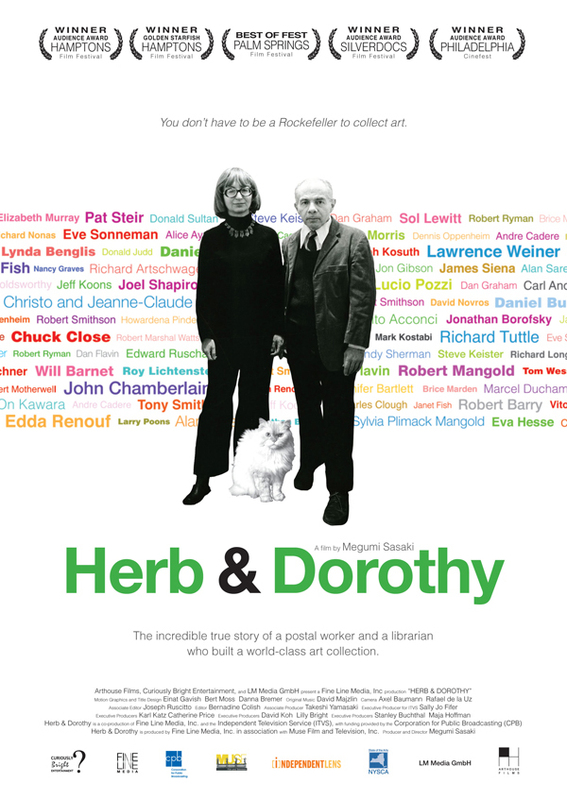 This feature-length film tells the extraordinary story of an ordinary couple with modest means, Herb Vogel, a postal clerk, and Dorothy Vogel, a librarian, who together managed to build one of the most important collections of Minimalist and Conceptual art. Spending all of Herb’s salary for art, and living on Dorothy’s paycheck alone, the Vogels amassed over 2,000 works of art in 30 years. In 1992, the Vogels donated their collection, estimated at several million dollars, to the National Gallery of Art in Washington, D.C.
At the core of this film is a love story that celebrates not only the couple’s passion for art but also their dedication to each other. It is through their loving partnership that the viewer experiences their remarkable story. Featured artists include Will Barnet, Robert Barry, Lynda Benglis, Christo and Jeanne-Claude, Chuck Close, Sylvia Plimack, Lucio Pozzi, James Siena, Pat Steir, Richard Tuttle, and Lawrence Weiner. © 2008 Fine Line Media, Inc.
Studios: Fine Line Media, Inc. / MUSE Film and Television, Inc.